Alberto Contador will win both the Giro d’Italia and the Tour de France, and his rivals including Chris Froome “are afraid”, according to Tinkoff-Saxo team owner Oleg Tinkov. “I’m convinced he’s going to win unless something bad happens like in 2014 with a crash or a tactical mistake,” Tinkov explained. The Spaniard announced he would race the Giro and Tour double in October 2014. Italian Marco Pantani was the last cyclist to win both grand tours in one season, in 1998. Froome toyed with the idea and said: “the Giro with its inclusion of a long time trial of 60 kilometres and tough uphill finishes will make it a well-balanced race which suits me well”. However, he decided to concentrate on a second Tour win to add to his 2013 title. 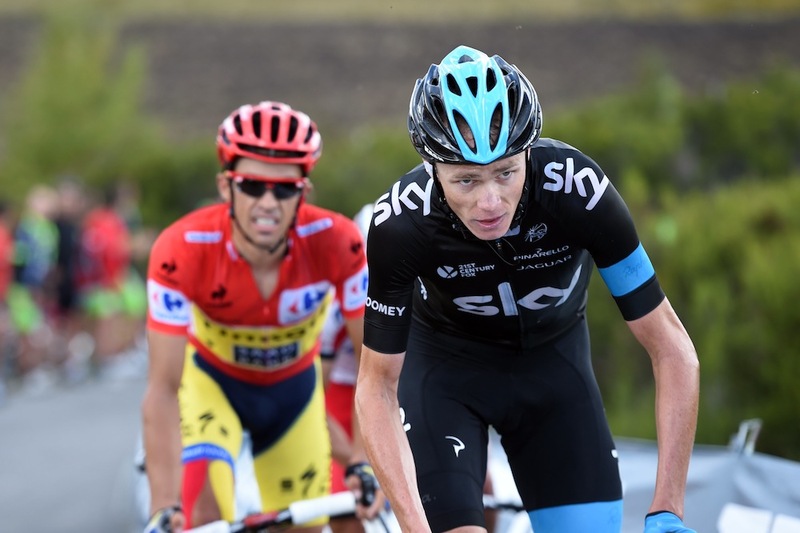 Richie Porte and Leopold König should lead team Sky at the Giro d’Italia, May 9 to 31. The other two big grand tour stars, Vincenzo Nibali (Astana) and Nairo Quintana (Movistar) will also skip the Giro for the Tour, July 4 to 26. Nibali won last year and Quintana, the 2014 Giro king, placed second behind Froome in 2013. Froome, however, appears ready for the challenge. On Sunday, he won his first race of the season, the Ruta del Sol, against Contador. Contador took the stage victory on the first summit finish, but Froome rebounded the next day with the stage win and enough seconds for the overall lead. 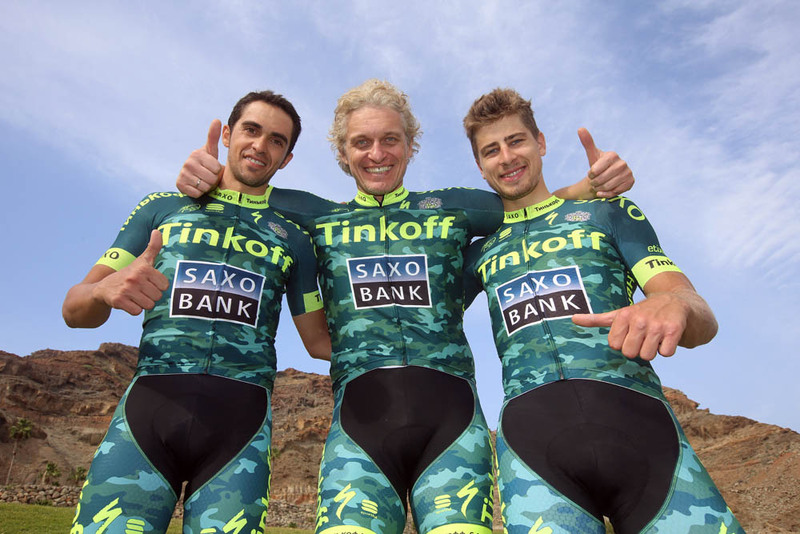 Tinkov joined Saxo Bank in 2013 and bought the team ahead of 2014, renaming it Tinkoff-Saxo. Over that period, he said that Contador progressed. “In 2013 he wasn’t so good, I criticised him, too, and maybe that partially worked. In 2014, I believe he would’ve won the Tour had he not crashed. It’s too early to judge, but to me, he’s now better than he was in 2014,” added Tinkov. “Of course [he will be tired after the Giro]. Once he comes back he’ll have three to four weeks of recovery. It’s not that much time to recover, it’s a risk to do that, but we do it because we believe that he’s strong enough. The Russian billionaire tried to convince all four stars to race the three grand tours – the Giro d’Italia, the Tour de France and the Vuelta a España – over the winter by offering up €1m or £732,000. He said that the winner of the three could take the prize, or the four could split it equally. His challenge gained attention, but did not have any takers. The race organisers and the Union Cycliste Internationale (UCI), he explained, should work together to have the best riders in all three races for the show and to sell television rights and advertisement. “I didn’t expect that it’d be immediately accepted, but it’s good that it started polemic and movement, and got people talking about it.